Russian citizens have been detained in Moscow, Yoshkar-Ola, Irkutsk and Ulan Ude who illegally transported weapons. 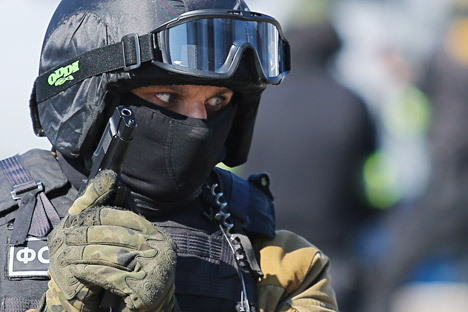 Russia’s Federal Security Service said on March 23 it has curbed the activity of an inter-regional criminal group that organized weapons supplies from the United States via postal services. "The Russian citizens have been detained in Moscow, Yoshkar-Ola, Irkutsk and Ulan Ude who illegally transported weapons," the FSB said. Two machine guns, two U.S.-made ArmaLite AR-15 rifles, eight guns and pistols, seven foreign and Russian-made carbines, handguns, and large numbers of ammunition rounds and components for small arms have been seized. Two workshops for upgrading weapons have been shut down, the FSB said. Criminal cases have been opened into illegal arms trafficking. "Efforts to curb the channels of weapons supplies from abroad are ongoing," it said.